As a new translator, you have prepared yourself long and hard to take on clients, and now the phone is ringing—metaphorically speaking. So, how do you answer? This post is part two of a five-part series on how to assess your readiness to become a successful translator, inspired by the ATA’s Self-Evaluation Questionnaire for Translators. If you have not already, check out the first post on what all translators should know before the phone rings. We also encourage you to explore the ATA questionnaire itself—you can fill it out on the computer to determine which areas you are already strong in and which you might consider working on. This section includes several cardinal rules for independent contractors, no matter the profession: Honor deadlines without fail (or notify the client as soon as possible of your inability to do so), confirm receipt of materials, follow instructions, know how to collect overdue payments, and invest time, effort, and funds to broaden your knowledge and skillset. Do I discuss fees and terms with potential clients confidently, without hesitation or cumbersome excuses and apologies? Confidence is key for independent contractors, who exist in a sea of other options. Being confident can be as simple as having the conviction that your work and time are valuable, and making this apparent to clients by how you communicate with them. So, when exactly does confidence come into play for a translator? When it comes to negotiating fees or contracts, sending a simple and factual message without beating around the bush or sounding apologetic will make you stand out as a professional who recognizes his or her abilities and worth. Of course, there are times when being apologetic is appropriate (e.g., a deadline completely slips your mind until the client notifies you the project is overdue), but beware of behaving sheepishly when you have nothing to be sorry for. If you do not know where to start, pay attention to examples of tasteful confidence in others and take a cue. As one of my professors used to say, “Fake it ’til you become it.” If you demonstrate confidence, soon enough you will not only be showing it; you will start to truly feel it, especially when others begin to respond. If you do not use a contract when offering translation services, you are not alone. Half of the translators surveyed by lawyer-linguist Paula Arturo do not use one at all, and 64.1% do not use their own, leaving both groups vulnerable to disputes involving issues such as project scope and nonpayment. The absence of a contract—or the use of a poor one—can even result in litigation. Not only will having a contract help protect your business and set expectations for the work to be done, which means peace of mind for both you and the client, but, as Paula writes in her recent post on translation contracts, it can also help cover potential attorney’s fees and combat deprofessionalization. 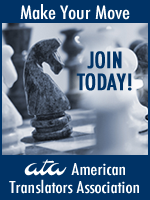 A great resource when drafting your own contract is the ATA Translation Job Model Contract. This template is a helpful starting point, but keep in mind that it may need customization. When you are ready, consider seeking legal advice to maximize the effectiveness of your contract. Personally, I have used a local university’s legal clinic that offers discounted services to small businesses when I have needed to consult with an attorney, including to draft service agreements. Research resources that may be available in your area. Especially when you are just starting out, you may feel pressured to accept any work that comes your way. It can be tempting, but taking work beyond your limits is not only ethically dubious; it is also likely to cause anxiety and cost you more time and effort. You may hear from the client after the fact if they have been embarrassed by a poor translation. In a worst-case scenario, a poor translation could even cause real harm to a company or an individual. In the end, it is not worth risking your reputation and your pride to accept work beyond your current skillset. The wisest course of action is to review the source document as thoroughly as possible before accepting the assignment and to turn it down if you are in doubt. Do not feel guilty—the client will thank you, and you can rest easy knowing you did the right thing. So, what should you do when you see yourself obliged to turn down a job? Clients will appreciate a referral to a better suited translator, if you happen to know one. 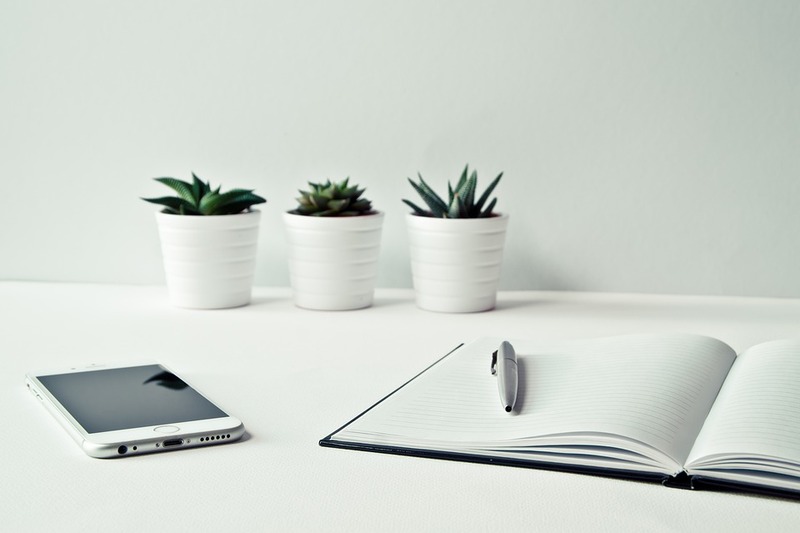 If you are asking yourself, “Well, how do I find work suited to me?”, Corinne McKay offers some helpful tips in this post. Do I have convenient access to translation tools, state-of-the-art software, and high-speed Internet service? Let me begin with an example of inconvenient access: Until recently, my favorite CAT tool was only installed on my desktop computer. Most of my translation memories (TMs) and glossaries were also stored only on that one immobile machine, limiting my ability to work efficiently on projects when traveling. I decided this had to change before the recent holidays, when I had travel plans, and lo and behold—not only was migrating all of my data and software easier than I had imagined, I was able to accept work over the holidays without thinking twice. It can be hard to ditch old habits, but taking stock of areas where you could benefit from convenience, a better tool (whether a faster computer, a second screen, a higher-end CAT tool, or a CAT tool, period), you may be surprised at how much more productive you will be once you break out of your comfort zone. So, reconsider that tiny screen, the ergonomics of your current equipment, and the repetitive research you may be doing instead of using a TM or glossary. Have no idea where to begin when it comes to CAT tools? Check out this digest that explains the ABCs of CAT tools and tips for investing in one. When possible, most translators maintain copies of their work. There are a variety of reasons for this: You may be asked to make changes after the fact, or come across a similar translation in the future that would benefit from past work. If you do choose to reference previous translations, just be certain that your contract allows you to store them, and avoid including any confidential or proprietary information in the new translation if it is for a different end client. In another scenario altogether, you may find that the client has introduced errors into your translation after the fact, in which case you could be faced with having to confirm that the errors were not your own—another good reason to have old work on hand. Now it is your turn to try out some of these tips on how to “answer the phone” before the next post, where we will discuss how to nurture existing professional relationships and “keep the phone ringing.” Let me know how it goes in a comment below! ← Are You Using LinkedIn to Get High-Paying Clients?